The enrollment pack includes all the forms you need. Please click here to download. 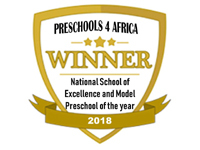 The school strives to provide a safe, loving and caring environment in which children can be guided and educated towards their full potential, intellectually, emotionally, socially and spiritually. Play-With-A-Purpose ensures that the children of our country are receiving the best possible pre-school education to equip them to lead fulfilling lives and that pre-school teaching standards are being maintained across the board.